CBD Oil Review rates The Medics Inc. line with three stars because its CBD Oil qualifies for the Quality, Mission & Innovation Badges. The Medics Inc. start out generating much excitement by enthusiastically discussing their exclusive access to what they claim to be the best hemp genetics available – and truly American in origin, to boot. 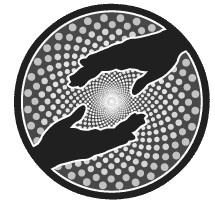 Further encouraging is The Medics Inc.'s in – depth attempts to educate the public about everything from endocannabinoid deficiency to the history of the hemp plant. 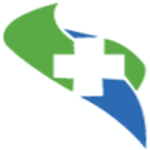 Unfortunately, until up to date Certificates of Analysis are published on themedicsinc.com, we will remain cautiously optimistic. 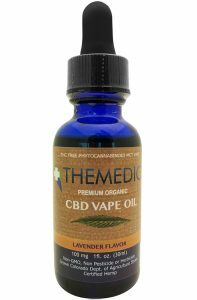 The Medics Inc.'s main claim to fame is their exclusive access to an authentically American – made strain of hemp, cultivated from a special seed with its origins dating back to the early 1990’s in Colorado. They state that while many growers buy inferior hemp seeds from foreign sources like China or Europe, they are the sole proprietors of what they believe to be highly superior genetics. 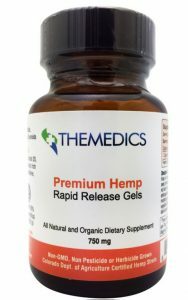 Products on the medicsinc.com range in price from $30 to $250, and are limited to a pain-relieving salve, tinctures, and easy – to – swallow CBD capsules. There are mixed messages from this peculiar vendor of cannabidiol. On one hand, they go to great lengths to educate customers about nearly every facet of hemp, including its history, pharmacology, and health benefits. Additionally, they state that they sincerely believe they are producing the highest quality CBD products available on the market. On the other hand, the Certificates of Analysis for laboratory testing for common contaminants are very outdated, and only show results from the source material used in 2015. Also, under the testimonials section, there is but one testimonial from several years ago. Parts of the site seem covered in cobwebs, while others seem to be well – manicured. All in all, if The Medics Inc. were to publish up to date CoA’s for each product being sold, we would feel confident recommending them as a trusted vendor of CBDs. Badges For The Medics Inc. The Medics Inc. work with local colorado farmers to grow non – GMO and pesticide – free hemp in Colorado. The Medics Inc. strive to educate the world about the wonderful and traditional alternative to unhealthy medicines that have adverse side effects. The Medics Inc. utilize technologically advanced supercritical CO2 extraction. This brand is terrible. I use CBD oil for anxiety and help with sleep and this stuff is trash. It’s like I’m not on anything no matter how much of it I take. Wasted $100 on gummies and oil for nothing! 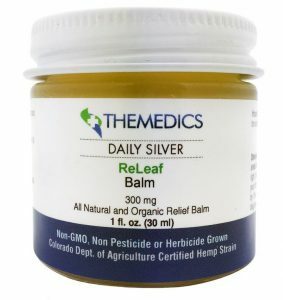 Is this product helpful for inflammation due to muscles overused? Hi Sue, Unfortunately due to strict FDA regulations I am unable to make claims on our products based on your specific needs, I can however say that CBD is a natural anti-inflammatory and could assist.